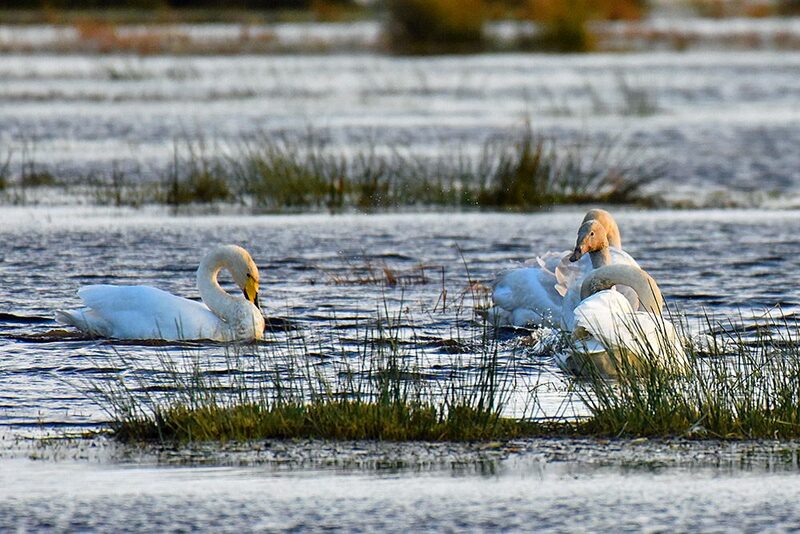 Watched from the old/south hide at Gruinart, four of the many Whooper Swans passing through Islay in the autumn flying past. 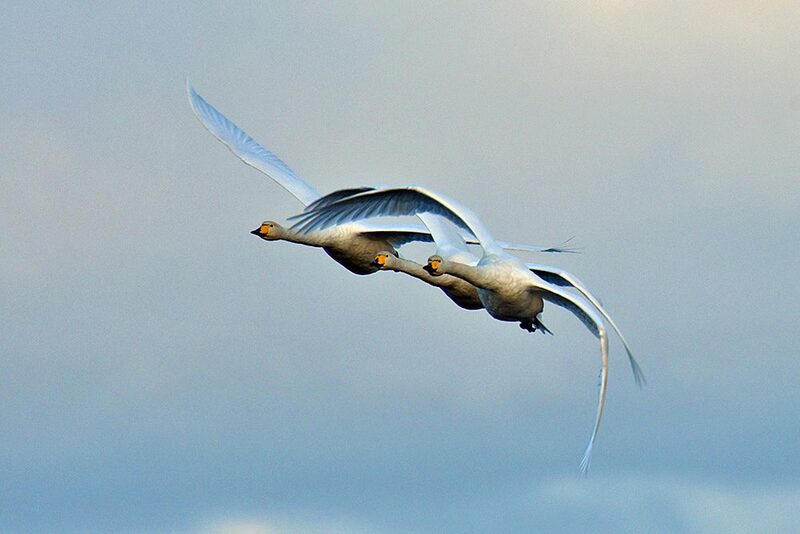 Captured in the mild light of the November afternoon sun, four Whooper Swans at the RSPB Loch Gruinart reserve. Three passing (usually they just stop over on Islay on their way to Ireland) visitors spotted at the RSPB Loch Gruinart reserve.